Has crash created four bargain shares? 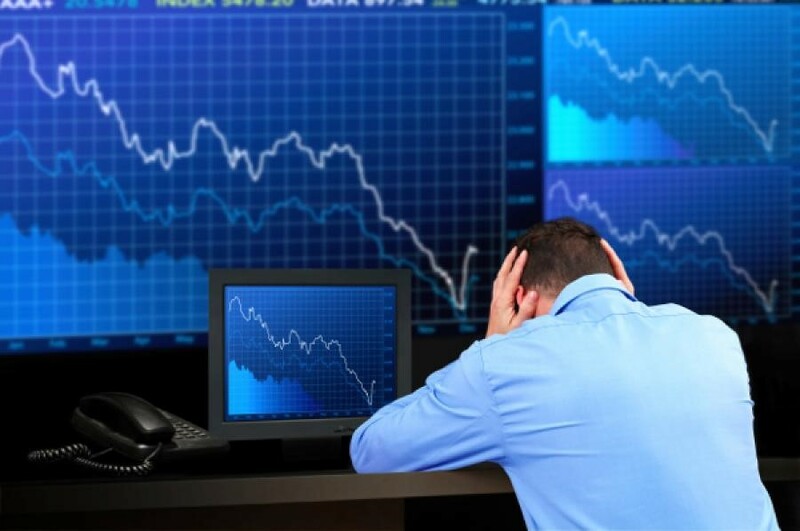 Picking through the debris on a dismal day for stocks, we focus on prospects for these big fallers. 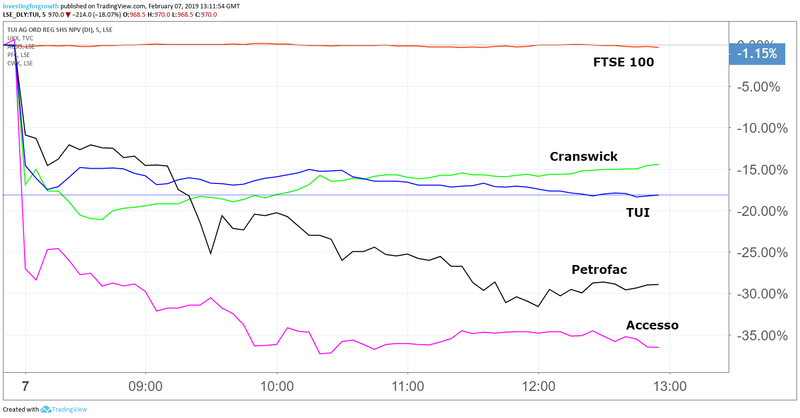 An encouraging start to 2019 was shattered for many investors today after sharp share price falls hit the quartet of TUI (LSE:TUI), oil services group Petrofac (LSE:PFC), meat products firm Cranswick (LSE:CWK) and ticketing systems supplier accesso Technology Group (LSE:ACSO). TUI's slide of 15% followed last night's warning by the Anglo-German holidays company that earnings will now be flat in the current financial year. While bookings for the summer are broadly in line with a year earlier, margins have failed to keep pace so far. It blamed the continued weakness of sterling for making it harder to improve margins on holidays sold to UK customers. A shift in demand from the western to eastern Med has also created overcapacity in some destinations such as the Canaries. TUI said it was taking action to address the headwinds, and pointed out that it may also benefit if the current conditions lead to further market consolidation. This will fuel speculation that it may be circling Thomas Cook's (LSE:TCG) airline business after TUI's rival revealed today it was considering a potential sale. As we have already reported, Thomas Cook shares shot up 20% today on the back of the possible sale, despite the company also reporting a £60 million quarterly loss and weak demand in the UK and Europe. The shares performance represents a reversal of fortunes after TUI overshadowed its rival with the resilience of its annual results in December. The 30% plunge in the Petrofac share price to 390p followed an announcement from the Serious Fraud Office (SFO) that a former senior executive of the company, David Lufkin, had pleaded guilty at Westminster Magistrates' Court to 11 counts of bribery. The SFO said the offences related to the making of corrupt offers to influence the award of contracts to Petrofac worth in excess of US$730 million in Iraq and in excess of $3.5 billion in Saudi Arabia. He will be sentenced at a later date. An investigation into Petrofac's use of agents in multiple jurisdictions, including Iraq and Saudi Arabia, is ongoing, the SFO added. Petrofac later issued a statement confirming that no charges have been brought against any group company or any other officers or employees. It said a number of Petrofac individuals and entities were alleged to have acted with the individual concerned, although no current board member of Petrofac is alleged to have been involved. Shares had been trading at near to 1,500p in 2013, but are now back where they were in the summer of 2017, when a slump in oil prices added to fears over the company's rising debt pile and uncertainty over the SFO investigation. Cranswick's slide reflected its caution on prospects for the 2020 financial year, based on expectations for a challenging commercial landscape and the impact of start-up costs from its new poultry processing facility in Eye, Suffolk. For the current financial year, the Yorkshire-based company said revenues were 2% lower in the third quarter with selling prices depressed by a 7% fall in UK pig prices in the period. Numis Securities cut its profit forecasts for the 2019-21 period, but said today's 20% slide in share price to a near-two year low looked to be overdone, with the current valuation attractive at a projected price/earnings multiple of 15.3x for 2020. While Numis lowered its price target from 3,450p to 3,200p, the broker said the business was still one of the "strongest competitors in the industry", with profits expected to rebound strongly from 2021. House broker Shore Capital agreed: "We continue to view Cranswick as a high-class operator with an innovative and expanding product portfolio, which is underpinned by a very well invested, industry leading supply chain and manufacturing infrastructure." Cranswick, which sells its meat products under retailers' own labels including Sainsbury's Taste the Difference, has a record of growing its dividend every year for the past 28 years. Short-term uncertainty also spooked investors in Accesso Technologies, formerly Lo-Q, after it announced a review of investment priorities so it can get a better grasp of opportunities. Former CEO and current chairman Tom Burnet is also moving into a non-executive role. The AIM-listed company, whose technology improves the queuing and ticketing experience for visitors to attractions including theme parks, continues to trade in line with expectations. Numis Securities placed its recommendation under review following today's developments, which it said introduced near-term uncertainty in a market largely looking for reassurance. However, they added: "We continue to believe that Accesso has a technology portfolio that can address a much bigger market than it currently serves."